In 1978, Wanda J. Herndon launched her successful career in corporate America when she became the first African American exempt professional and external hire in the Communicator Development Program of The Dow Chemical Company. Later, she made significant contributions at other major corporations, including DuPont and Starbucks Coffee Company. Born in LaGrange, Georgia on July 31, 1952, Herndon’s family joined the Great Migration of blacks from the South to the North and moved to Flint, Michigan in 1953. Her father was employed by the General Motors Buick Division and her mother worked at Hurley Hospital. Herndon graduated from Flint Southwestern High School in 1970, and attended Michigan State University, earning both her bachelor’s and master’s degrees in Journalism in 1974 and 1979 respectively. Prior to joining The Dow Chemical Company, Herndon worked as a legislative assistant in the Michigan House of Representatives from 1975 to 1977. She joined The Dow Chemical Company in 1978 where she held several public affairs and marketing communications positions during her 12-year career. In 1990, she joined DuPont where she held progressively more responsible public relations positions for DuPont over a five-year time frame. In 1995, Herndon was recruited by Starbucks and became Vice President of Communications and Public Affairs. At the time, Starbucks only had 550 stores in North America. Herndon became part of the team responsible for expanding the company into international markets outside of North America. During her first year as the company’s chief communications officer, Herndon was instrumental in helping the coffee company open its first store in Tokyo, Japan. In 1996, Herndon was promoted to Senior Vice President of the company’s Global Communications Department. While there, she wrote the inclusion and diversity language that remains one of the company’s five core values and lives on in the company’s mission statement. Herndon helped to grow the company during its most active years of expansion, overseeing the development and execution of all the global communications activities and strategies. In 2006, after 11 years at Starbucks, Herndon retired at the age of 53. At the request of Chief Executive Officer Howard Schultz, she returned to Starbucks in 2008 to manage international communications during the company’s transformation. She helped recruit a permanent head of communications and re-retired at the end of that year. For nearly 30 years, Herndon led communications, public relations, and marketing functions for leading Fortune 500 companies. In 2006, she used that experience to found her own strategic communications consulting firm, W Communications (www.wcommgroup.com). Her clients include Lululemon Athletica, a yoga athletic wear company, Otsuka America Pharmaceutical, and Starbucks Coffee Company. Herndon remains involved in many Seattle and national community organizations. 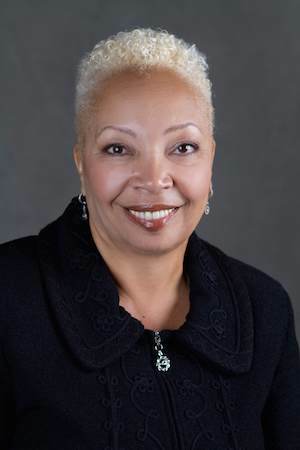 She is a member of Alpha Kappa Alpha Sorority and the Seattle Chapter of The Links, Inc. Herndon also is chairman of The 5th Avenue Theatre Board (Seattle), member of the Cancer Lifeline Advisory Committee (Seattle), and a member of the Senior Council of One Reel, Inc. (Seattle). For ten years, she was a board member of the YWCA of King County and Zion Preparatory Academy. Herndon created the Wanda J. Herndon Endowed Journalism Scholarship at Michigan State University in 2004 to support underserved students who plan to pursue a Journalism degree and, in 2006, she established the Wanda J. Herndon Foundation that makes charitable donations to various organizations. Ron Krueger, “Perking Along – Flint Native’s Cup is Full of Starbucks Responsibilities,” Flint Journal, Jul. 5, 2005; Sheri Whitley, “Profitability is in the People,” Black Enterprise, Jan. 2006; C.C. Williams, “Dynamic Duo,” Essence, Sep. 2008; Patti Payne, “Executive Wanda Herndon Crafted Starbucks Message,” Puget Sound Business Journal, Mar. 12, 2006; American Program Bureau, Wanda Herndon Biography, http://www.apbspeakers.com/speaker/wanda-herndon; Howard Schultz, Pour Your Heart Into It: How Starbucks Built A Company One Cup At A Time (New York: Hyperion, 1997). “Profitability is in the People,” Black Enterprise, Jan. 2006; C.C.